Some 150,000 disabling eye injuries occur each year. 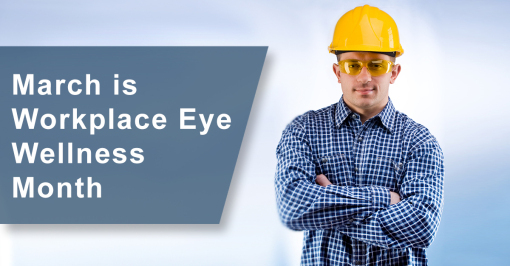 Eye injuries can occur in any operation and in any work area, including offices. All too often we take our eyesight for granted and figure that we’ll always have it. 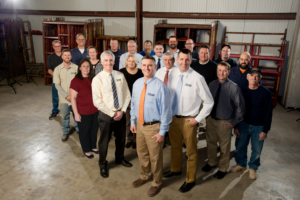 We treat our eyes as though we can get replacements. How many home runs could Hank Aaron have hit if he had lost the sight in one or both of his eyes? How well would you be able to do your job if you were blind? There are two important issues to consider; first, you need to have the proper eye protection, second, you need to USE IT! People who wear glasses usually become so accustomed to them that without much thought they clean them, carry them in their pocket or purse so they are handy, and wear them when they are needed. Unfortunately, few of us are this mindful when it comes to eye protection, and too often we forget it. Some safety glasses and goggles grow dusty from lack of use as their owners trust luck to protect them from an eye injury. The most common complaint about eye protection is that it’s uncomfortable. Protective eye equipment must be carefully fitted and then worn correctly. It may take some time to adjust to wearing goggles or safety glasses, but it will take much longer to adjust to losing your eyesight. If your goggles or glasses give you a headache, adjust the frames or straps or consider a new pair. Straps used to hold goggles or glasses in place should be adjusted to provide just enough tension to hold them securely. During hot weather, a sweatband will keep perspiration off your goggles or glasses and out of your eyes. Take time to clean your goggles or glasses so they do not interfere with your vision. Don’t touch the lenses with your fingers, and keep them away from anything that could scratch or pit them. Protective eye protection extends beyond keeping bits of debris out of your eyes. If you are working around welding or cutting operations special lenses may be required to protect your eyes from the bright, intense light. Chemicals also pose a hazard to your eyes; make sure you use eye protection and splash guards when handling chemicals. Your employer will provide eye and face protection when machines or operations present the potential for eye or face injury. See 29 CFR 1926.102 for more information and a selection guide for proper eye protection.